Student Governance has raised $ 795 from 13 gifts! Support the Student Governance Fund on #MaryWashDay! The Student Government Association represents students to the university administration, faculty and staff. SGA’s role is to address campus issues ranging from academic affairs to facilities and services. As the highest elected body on campus, the SGA has the duty of articulating student voices to the administration and beyond. From there, its goal is to work with the university to create solutions to common problems. The Honor Council is comprised of elected representatives from each class, including graduate students. The Council ensures the integrity of the UMW Honor System by enforcing adherence and responsibility in cases such as lying, cheating, and stealing. The Honor Council maintains the community’s trust, respect and moral integrity regarding the Honor Code. Honor is a way of life. The Inter-Club Association is responsible for regulating over 150 clubs on campus. ICA assists new clubs with their chartering process, while also advising current clubs regarding university and state policies they must follow. ICA also hosting several summits throughout the academic year to provide resources to clubs and their leadership on club operations and event planning. 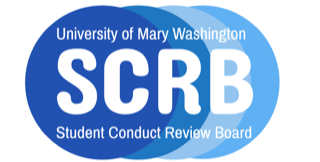 The Student Conduct Review Board is comprised of elected students from each class, and hears cases regarding infractions of the UMW Code of Conduct such as property damage and substance misuse. SCRB ensures compliance with conduct standards and encourages all university members to uphold our community values. The Off-Campus Student Association represents the interests of the commuting and off-campus student population at UMW. OCSA develops and hosts feedback programs and offers resources for a better off-campus living experience. OCSA cultivates positive relationships with the surrounding community by participating in neighborhood events.